Mohenjo-Daro - Upcoming Movie of Hrithik Roshan: Mohenjo-Daro is an upcoming Bollywood movie which will be directed by Ashutosh Gowariker and the lead role will be played by Hrithik Roshan and Pooja Hegde. Mohenjo-Daro is an upcoming Bollywood movie which will be directed by Ashutosh Gowariker and the lead role will be played by Hrithik Roshan and Pooja Hegde. It would be their second meet after successful film Jodha Akbar. 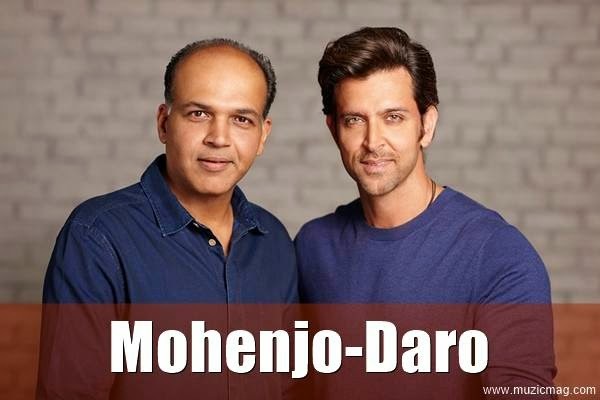 There was no ground level information about the movie before, but now the director Ashutosh Gowariker has confirmed that Hrithik is in lead in his next venture Mohenjo-daro. The pre-production is on and is designated to start filming in the fourth quarter of 2014.